1. Used vehicle inventory started rising rapidly in September after declining for most of the year. 2. 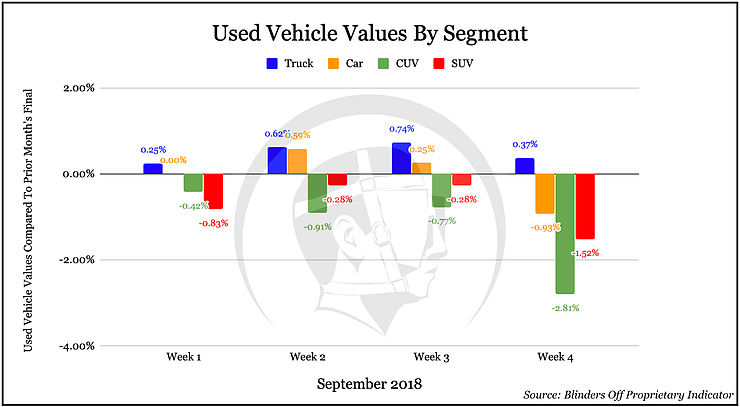 There was a significant drop in used vehicle values during the last week of September. The sudden increase in used vehicle inventory is a strong signal that the rate of sale has slowed due to price increases that consumers are not willing to absorb. Most retail dealers have a rigid 60-day cut off for used vehicle inventory. As a vehicle nears the 60-day mark, the dealer is forced to heavily discount that vehicle or face an even greater loss by disposing of it through wholesale auction (60 days of depreciation, reconditioning expense, transportation and auction fees). 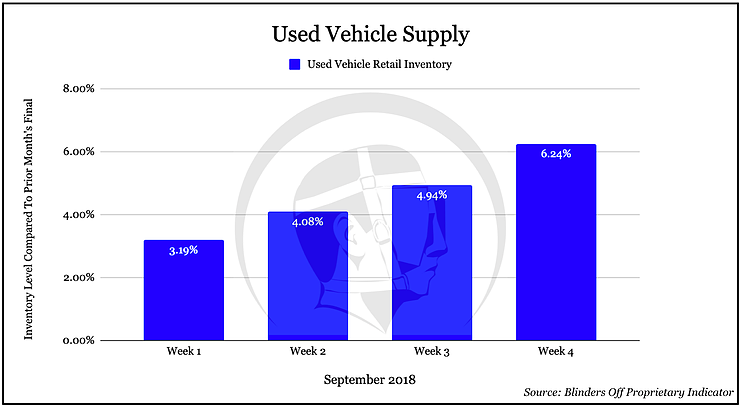 This is also likely related to the sharp drop in used vehicle values during week 4 of September as retail dealers returned to auction and adjusted their bids after realizing the vehicles they previously purchased did not sell at the prices they anticipated. New and used inventory levels are still showing a draw YTD, but the rate of change is concerning. I am completely convinced that the strength we’ve seen in both new vehicle volume and pricing this year is due in large part to the incredibly strong performance in used vehicle values. If the recent trend in used vehicle values changes, things could get ugly and FAST! Additionally, take note of the dip in time to equity from 2006-2007 and how similar it is to the dip in 2018. It took this year’s used vehicle appreciation in order to offset the consistent increase in loan terms since 2009. 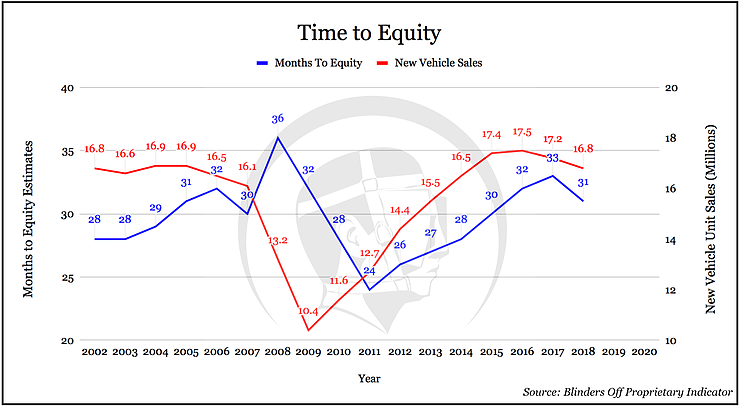 If used vehicle values roll over, we have the same exact setup that led to the spike in time to equity from 2007-2008. I would take the drop in used car and truck CPI as a serious warning with larger implications to come. I am still confident in Q3 earnings for manufacturers, retail dealers and rental car companies but would proceed with caution going forward.